Should Dustin Pedroia win the American League MVP award? Let’s put it this way: If he keeps hitting like this, his 2007 Rookie of the Year award is guaranteed to have some glitzy company atop the mantel. Oh, we all know the Red Sox’ version of Tanner Boyle doesn’t exactly look the part. 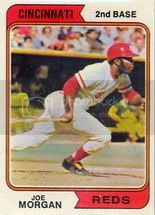 He’d be one of the smallest MVPs of modern times – he’s listed at 5 feet 9 inches and 180 pounds, which, according to baseballreference.com, makes him allegedly two inches taller and 20 pounds heavier than two-time NL MVP Joe Morgan. But Pedroia’s numbers are staggering for a hitter of any stature. He’s leading the American League in batting (.330), hits (188), multiple-hit games (55) and runs (108) and third in doubles (43) and total bases (283). He has knocked in 22 runs in his last 19 games, is batting .600 over his last seven games, and has nine hits in 14 at-bats in the cleanup spot. According to the Elias Stats Bureau via Buster Olney’s blog, Pedroia is the first player in Red Sox history with a five-run, a five-hit, and a five-RBI game in the same season. Considering the hitters who have graced this franchise, that is an incredibly impressive accomplishment. It’s no wonder that his peers are becoming unabashed admirers, and those around the game now recognize him as an elite player. Alex Cora, who doesn’t seem to be a man prone to overexaggeration, compares Pedroia to Robbie Alomar during his Blue Jays heyday. Jerry Remy, initially a Pedroia skeptic, now marvels at his ability to get good wood on seemingly unhittable pitches, a trait he shares with Vlad Guerrero and very few others. And while we’ll get into a comparison of these Sox to the dynastic late-’90s Yankees another day, an astute Sons of Sam Horn poster pointed out that Pedroia’s season at 24 years old is very similar to Derek Jeter’s at the same age, when he hit .324, with 19 homers, 84 RBIs, and an OPS+ of 124 in 1998. Josh Hamilton: Wonderful numbers, wonderful story, but the Rangers are an afterthought; his most meaningful moment of the season probably happened during his siege on Yankee Stadium at the Home Run Derby. K-Rod: Sure he’s having a season for the ages, but there a few stats more fraudulent than saves, and had he decided to take the season off to follow the Jonas Brothers on tour, the Angels still would hold a double-digit lead in the AL West. Carlos Quentin: The White Sox slugger might be his stiffest competition. He’s walloped 36 homers, driven in 100 runs, and compiled a .965 OPS while anchoring surprising Chicago’s powerful lineup. If Chicago makes the postseason, it would not be unjust if he claimed the honor. Justin Morneau/Joe Mauer: Someone deserves credit for keeping that mediocre Minnesota roster in a pennant race, but Pedroia and Quentin are superior candidates to both Twins cornerstones. Alex Rodriguez: I’m pretty sure I actually heard you snicker there. Kevin Youkilis: Now this is interesting. As recently as a couple of weeks ago, he was the consensus of MVP of the Red Sox, his OPS+ is higher (142 to 124), and he has been slightly more consistent than Pedroia, batting .300 or better in every month of the season. But Youkilis’s steadiness might actually hinder his cause, for voters are more likely to remember Pedroia’s phenomenal stretch of play, particularly if it continues through September. Will it? By now, I think we all know better than to be surprised by anything he accomplishes.